Call Centre available 24/7/365. Please call +356 2328 5555. Established on the 5th of December, 1983 Robert Arrigo & Sons Ltd. has built and kept its reputation as a partner to its clients rather than being just another incoming agent. Our partners are established Tour Operators spread all over Europe with whom we work side to side creating a win-win situation when selling the Maltese Islands as a destination. 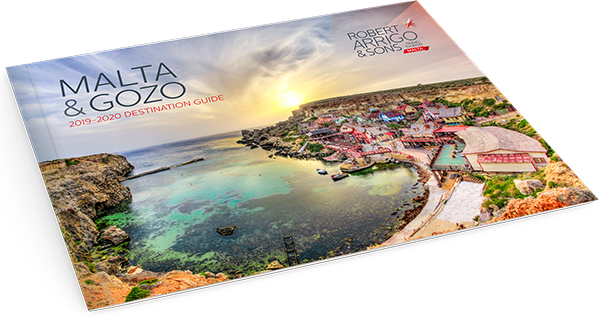 More than 3 million clients to the Maltese Islands have been handled by Robert Arrigo & Sons Ltd. since 1983 making us one of the leaders in the Maltese tourism industry. From the individual request with tailor made programmes, special interest travel, charter operations, one off group requests and group programmations as well as services for the MICE market with a dedicated section – our committed multilingual team of over 45 travel experts, each specialised in the different segments, is looking forward to assist you in your queries. Many services such as transportation and excursions are produced “in-house”. A trained team of holiday representatives will assist the client in Malta with his/her daily needs and excursions are available in a variety of languages on a daily basis, in winter and summer. To round off our services we have recently invested in the latest technology reflecting the current industry trends. We pride ourselves to be the first incoming operator on the Maltese Islands to have implemented a system enabling our clients to access our products through XML integration, a personalised and password protected web based B2B booking portal, both options reducing response times to mili-seconds, thus helping to convert requests into bookings much faster. Your choice of linking up with Robert Arrigo & Sons Ltd. will secure you a fast and reliable service and we look forward to welcoming you -and your clients- to our beautiful islands of Malta, Gozo and Comino. Robert Arrigo & Sons Ltd. has a team of over 70 full time employees, all specialized in their respective sector of work. We look forward to be of service to you, please let us know your query and we will gladly provide you with all necessary details. Below you will find some of the key contacts to help you in your query. In the recent years the company has heavily invested in technology anticipating the current trends in the tourism industry. Since 2011 we are in a position to offer XML connections to our system with access to all the services our company provides. This option has been taken up by many of our clients and has shown very positive results when it comes to speeding up the booking process and making content available on booking portals in real time. Apart from the XML connection possibility we also offer a tailor made B2B portal which allows operators seeking services in Malta to make bookings and verify prices and availabilities online in a customized and password protected area. Are you interested in one of these options? We strive to provide you with as much information as possible about the destination and products offered. We want to be your one stop shop for all kind of information on the Maltese Islands and our services. Be it hotel descriptions, photos or details on excursions and other products: All can be found here!